Whether you are staying in one of our hotels for a break away or just passing through the area, our stylish restaurants and bars set the scene for a memorable experience. 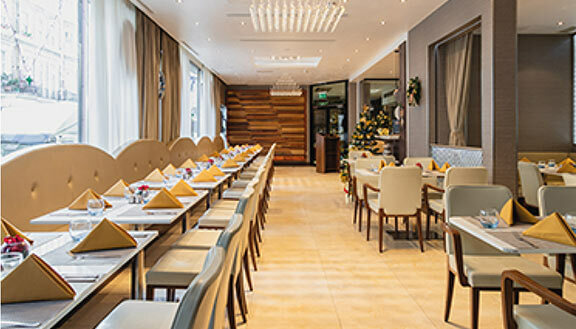 From casual, family-friendly dining to exclusive cocktails and carefully selected menus in our sophisticated restaurants, each Park Grand London Hotel offers something for everyone. If you are staying at our stylish Park Grand London Paddington hotel, you will be pleased to know that after a restful sleep in one of our rooms, you can indulge in a freshly prepared full English or continental breakfast. In the evening, you can start at our Atlantic Bar, enjoying some specially made drinks and light appetisers, and then make your way to the restaurant where you can indulge in some fantastic dishes, uniquely designed and prepared by our talented chefs and served by our attentive and friendly waiters. The Park Grand London Lancaster Gate is the perfect place to book if youre looking for a sophisticated ambiance for a special lunch or dinner. The Craven Lounge at Park Grand London Lancaster Gate also serves afternoon tea, a classic British tradition and a truly special treat at an affordable price. If you are staying at our hotel, you will be able to enjoy freshly prepared full English and continental breakfast. The bar here is also a great experience - with a contemporary style and a relaxing atmosphere where guests can unwind and enjoy a selection of alcoholic and non-alcoholic drinks. 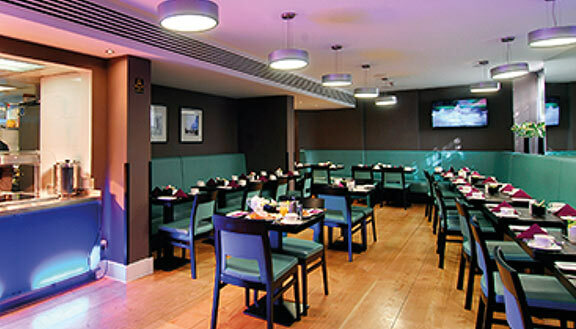 The Park Grand London Paddington Court is just the spot in central London to enjoy breakfast, lunch or dinner. Full English breakfast in our elegant restaurant gives you the very best start to your day. For lunch, we have a range of carefully prepared dishes for every appetite, and in the evening, youll love inviting friends and family to this chic space, where mouth-watering dishes are served daily and skilled chefs use only the freshest ingredients of the season. 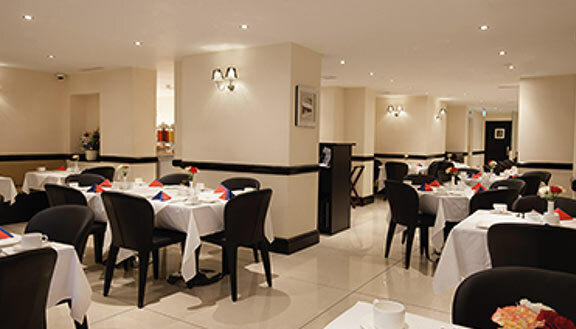 If you are seeking a stylish yet relaxed restaurant for lunch or dinner with friends and family, then the Park Grand London Kensington is for you. Its a great spot to unwind over a drink or freshly prepared meal any day of the week. Our waiting staff are friendly and attentive, serving breakfast and dinner in an atmosphere of informal elegance. Whether you are meeting with friends, co-workers, family or a partner, this restaurant and bar has everything you could ask for from a London venue. If you are staying at the Park Grand London Hyde Park, youll fall in love with our unique restaurant, a chic and stylish space for you to indulge in breakfast, lunch or dinner. 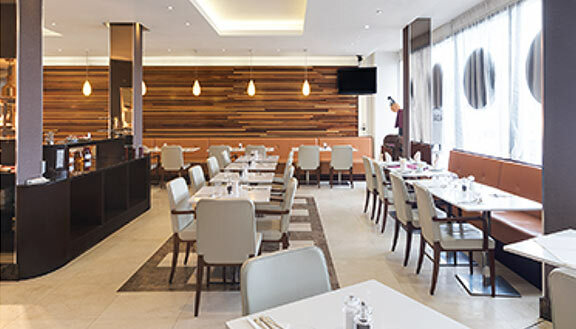 Park Grand London Kensington offers a hearty breakfast for hotel guests, or if you simply want to drop by on your way to a meeting or event in the morning. Both full English and continental breakfasts are served. Our Club Lounge is also a great place to unwind after a busy day in London, with a great selection of drinks and snacks. 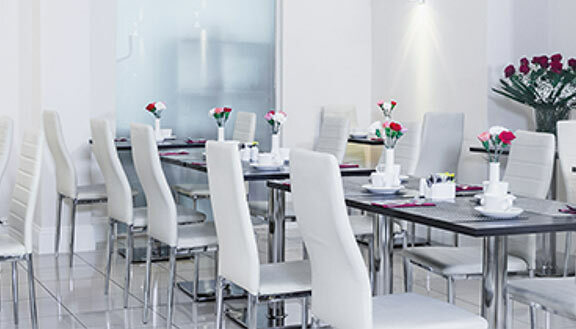 The Park Grand London Heathrow is a great dinner option for impressing family, friends or clients. The stylish bar stocks a great range of wines and you may even opt for a cocktail or two to start off your evening. The menu is also inspiring, offering guests a range of dinner options to suit your appetite and taste. Simply tell the waiting staff if you have any allergies or food concerns and they will happily assist. Why not also start your day here, with a freshly prepared full English or continental breakfast?